Jess Dunn joined Amnesty International to make a difference both on and off Samford’s campus. Dunn and her fellow members are dedicated and passionate about the organization. 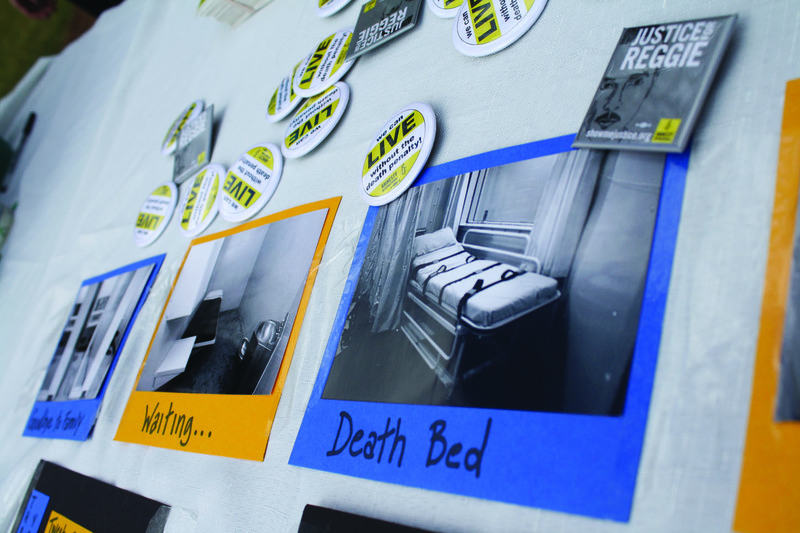 Dunn has been vital in organizing various Amnesty events on campus. The past two Decembers, the small but impassioned organization hosted write-a-thons. For one such occasion, students could write petitions on behalf of women who had been raped by police in Mexico. Another write-a-thon offered students the chance to write letters to government officials on behalf of prisoners. 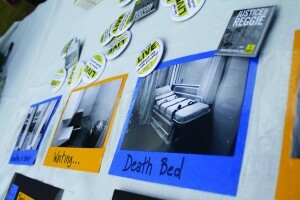 Students could also write letters of encouragement to various prisoners around the world. Last spring, Amnesty coupled with Oxfam, an international relief and development organization, to open students’ eyes through the Tunnel of Oppression. Dunn and her fellow members have worked for the past year and a half to resurrect an organization that had died on Samford’s campus. Rachael Sarrett, an Amnesty member, joined the group to make a difference within the organization’s widespread impact. “I decided to join Amnesty International because it is truly a global movement, active in over 150 countries, that is dedicated to upholding human rights,” Sarrett said emphatically. Both women appreciate Amnesty’s choice to steer clear of causes that involve violence. Dunn used Nelson Mandela as an example of a cause that Amnesty did not support because of violence used regarding the problem. 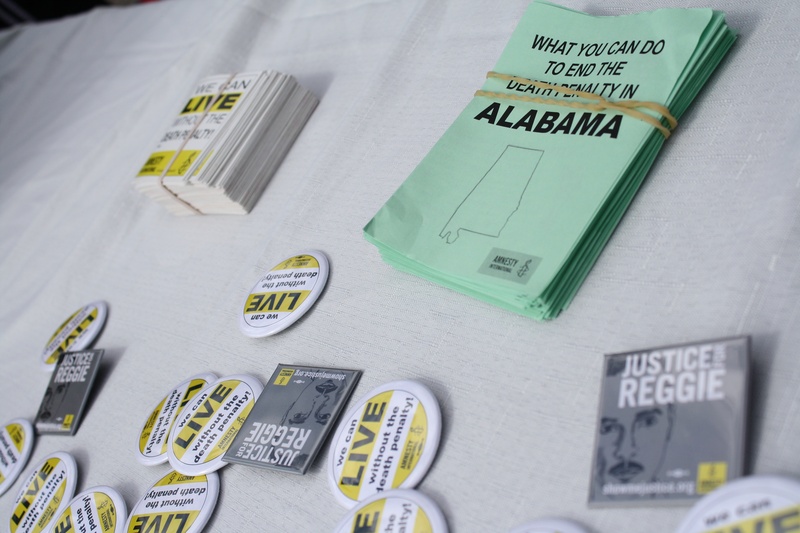 Then, Dunn showed her enthusiasm for the causes they support by pointing out that the group was tabling for Death Penalty Awareness Week and that Alabama has the most individuals on death row per capita. While Dunn, a senior psychology major, is passionate about the death penalty, that doesn’t mean her chapter lacks diversity. She said something that makes Amnesty unique is that any issue involving human rights can be covered. This is one scenario where Samford’s chapter could cater to its members while working for the greater good as well. Sarrett added that what has made a big impact on her philanthropic outlook is that Amnesty is dedicated to being proactive instead of simply raising awareness. “It’s not only informing the public, but actively campaigning to stop these abuses,” Sarrett said. She was also on hand to actively talk with students in Ben Brown Plaza about the death penalty and hand out various pamphlets, magnets and buttons. Samford’s five Amnesty members have a big proponent in Dr. Fred Shepherd, chair and professor in Samford’s department of political science. Shepherd is the organization’s adviser. He feels passionately about Amnesty’s work and is “intensively” involved. He is now lending his talents and zeal as an Alabama legislative coordinator for Amnesty. Dunn explained that Shepherd has a better perspective on certain causes because of his position. He is able to bring ideas and information near and dear to his heart back to Samford and relay it to her. For example, Shepherd recently traveled to Washington, D.C. to lobby for various human rights issues along with fellow legislative coordinators in a workshop. He also met with Alabama’s congressional delegation to discuss a variety of issues, including U.S. policy regarding Egypt and Bahrain, immigration issues and the Violence Against Women Act, among others. Dunn and Shepherd spoke candidly about the need for Amnesty on Samford’s campus. Shepherd said that while Amnesty is officially secular, students should realize Samford’s mission applies to the organization as well. “Many of the groups and people Amnesty supports are driven by faith,” he said. 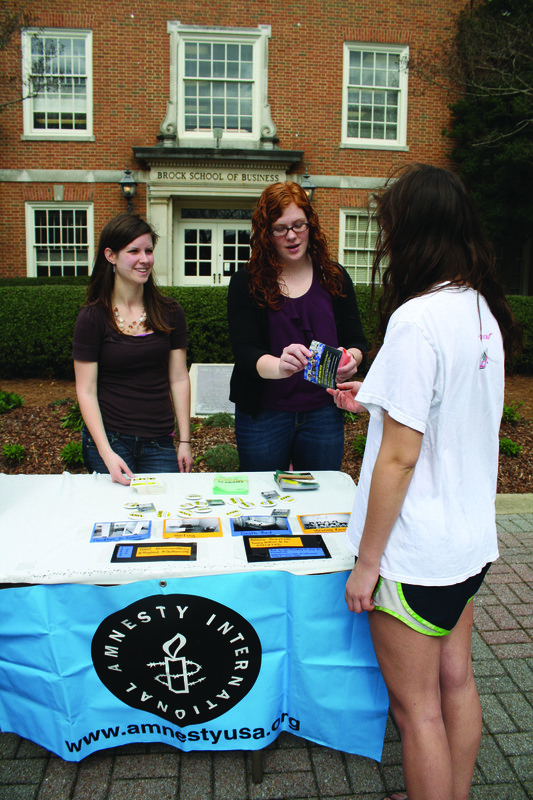 Shepherd challenged students to live up to Samford’s mission statement through outlets like Amnesty International. Since Dunn is a senior, she is also looking for someone to step up and fill her fervent shoes. Dunn emphasized that overall, students have a big heart and genuinely care. However, there are better ways to go about helping and serving. Amnesty is a good way to combat becoming spread too thin because a number of causes are available and there are plenty of collaborations with other Samford groups, Dunn said. Dunn and Samford’s Amnesty chapter is an infectious bunch dedicated to making the world a better place by passionately advocating for numerous individuals, groups and causes. Dunn wants her Amnesty chapter and Samford students in general to realize the important role they all possess in raising awareness and being active crusaders for human rights.